Genentech makes their presence known on canvas and cotton! 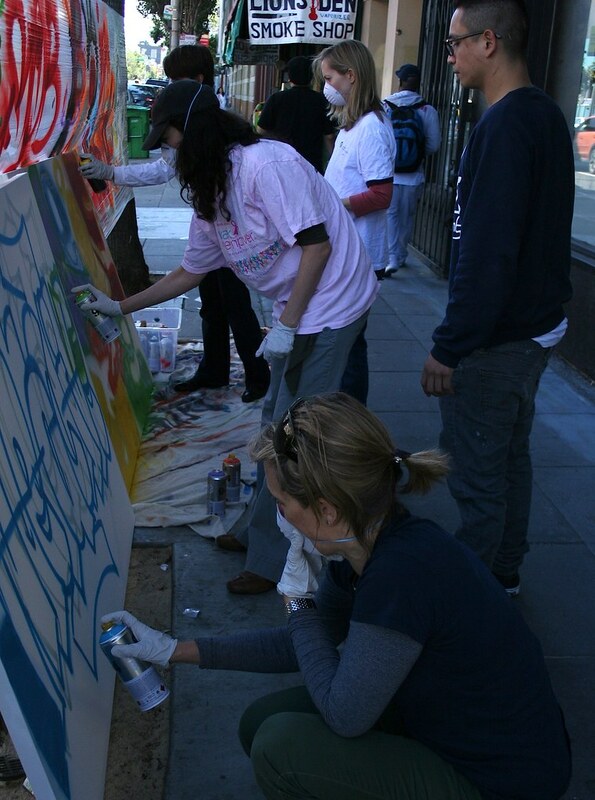 Home/Classes, Community, Mural Production, Team Building Workshops/Genentech makes their presence known on canvas and cotton! 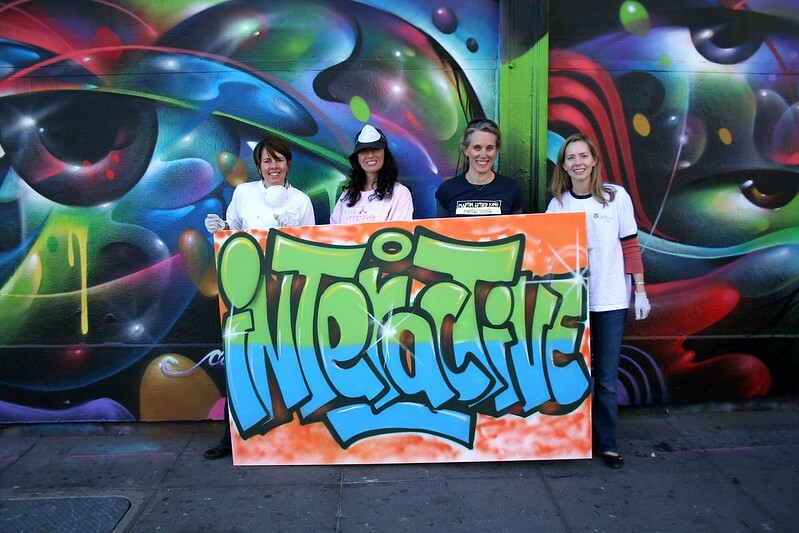 With a take-no-prisoners attitude, Genentech‘s team made short work of stenciling their t-shirts before moving on to create a mural on the canvas they were bringing back to their office. This team of ladies decided on the word “Interactive” for their canvas, a fitting choice for how they approached their day at the gallery! Email us at privateevents@1amsf.com to get your team tagging!